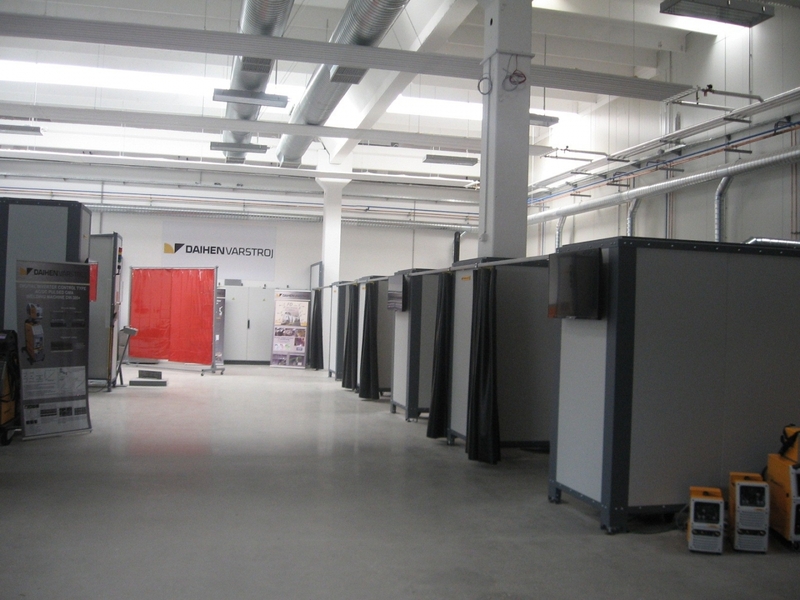 In the presentation part of our technology centre we offer our buyers and distributers overview of our development and production program. 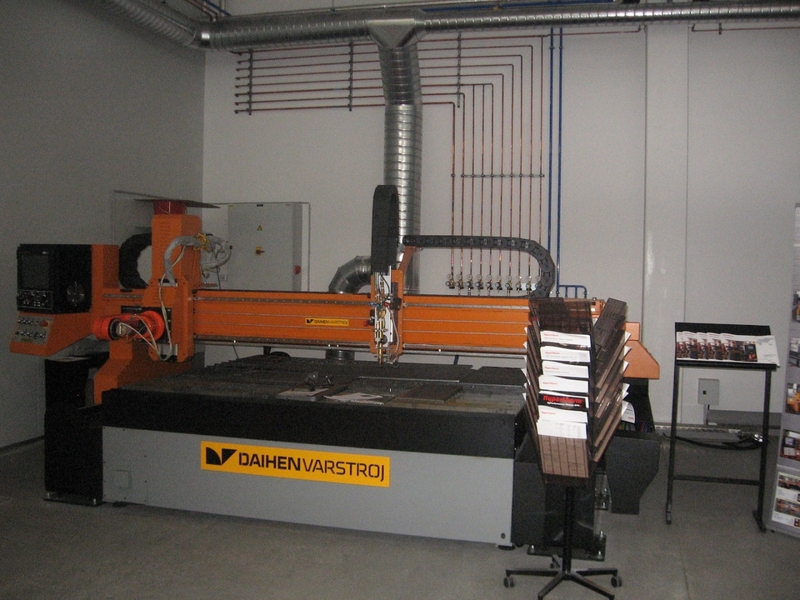 Presentation centre serves therefore for presentations of our typical or standard welding and cutting products in form of permanent exhibition and for presentations of functionality and use of our technological solutions. 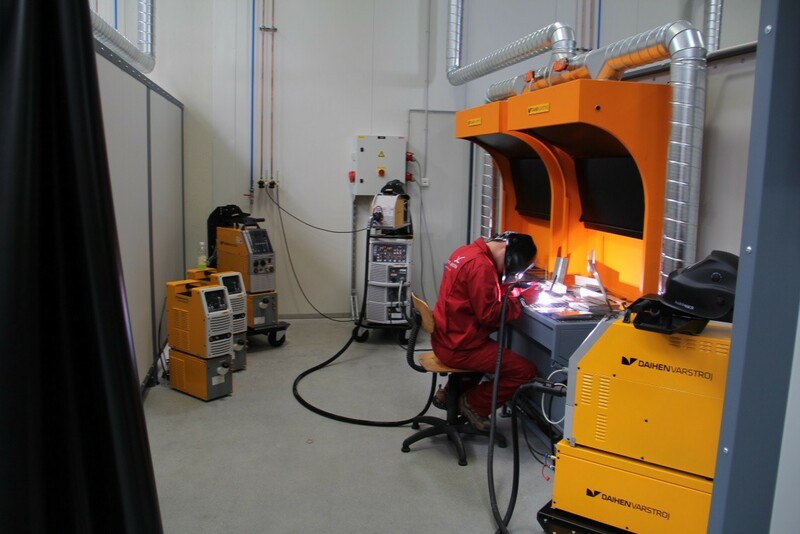 With use of our equipment in technology centre we present to our customers and distributers practical use of the whole range our our products for different welding and thermal metal cutting technologies. e) classic welding machines of VARMIG series for MIG and MAG welding process. Welding booths are enclosed by a fixed wall on three sides and have a safety curtain agains radiation in the front. 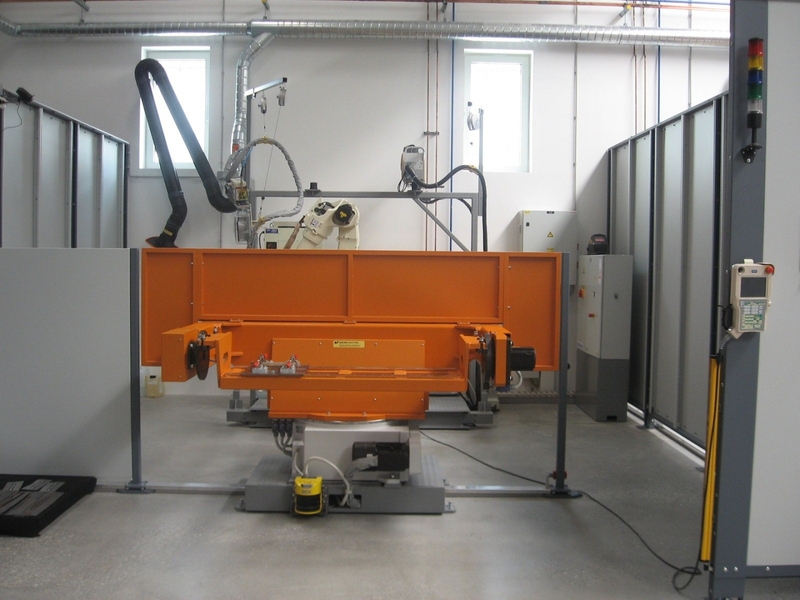 Booths are equipped with adequate welding tables and fume extraction during welding. 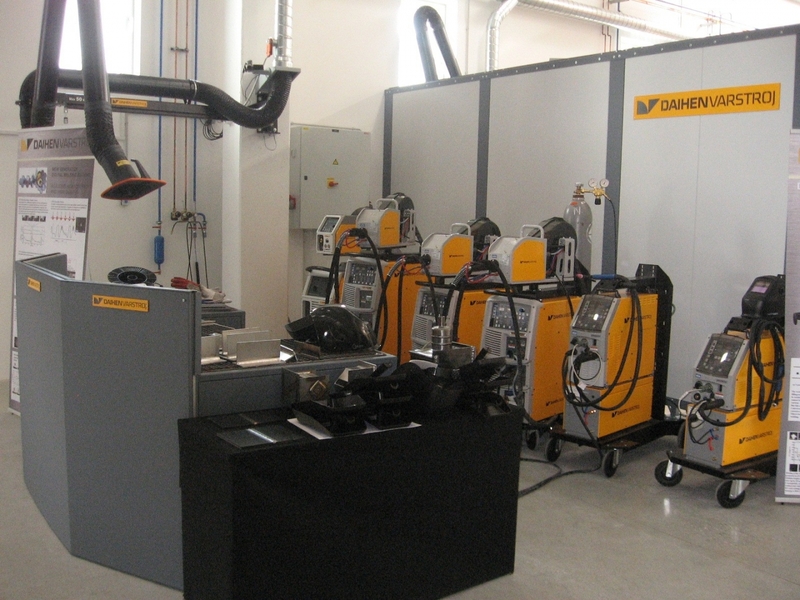 In them are various welding machines for MMA, MIG/MAG and TIG welding. Device for automatic longitudinal welding of thin sheet metals with microprocessor control and steering with colour LCD-display. - for welding of construction steel, heavily alloyed CrNi steel. 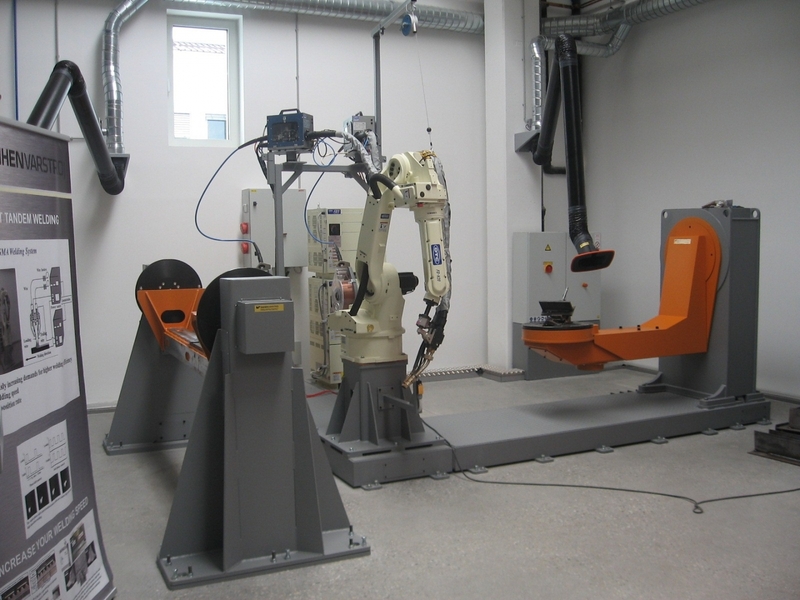 h) equipment with option for TWIN welding process (welding with double wire). 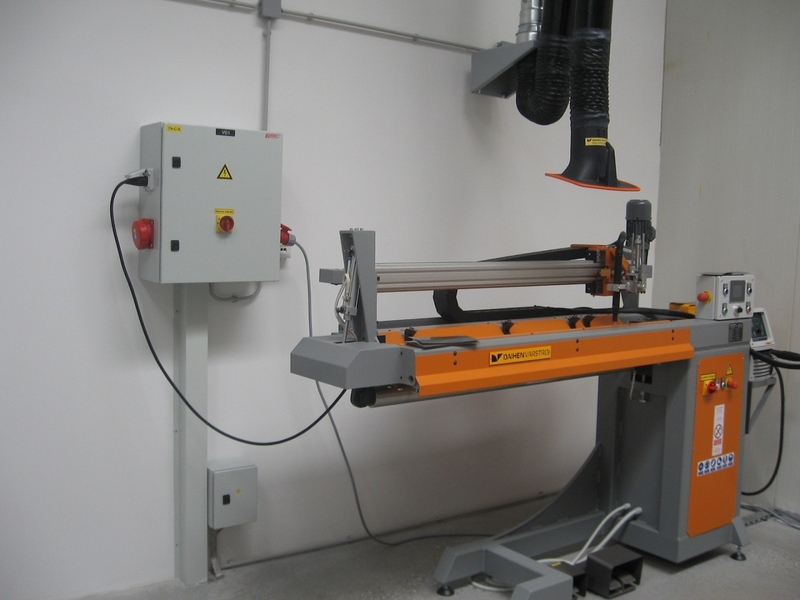 h) equipment with option for Synhro-MIG welding process. 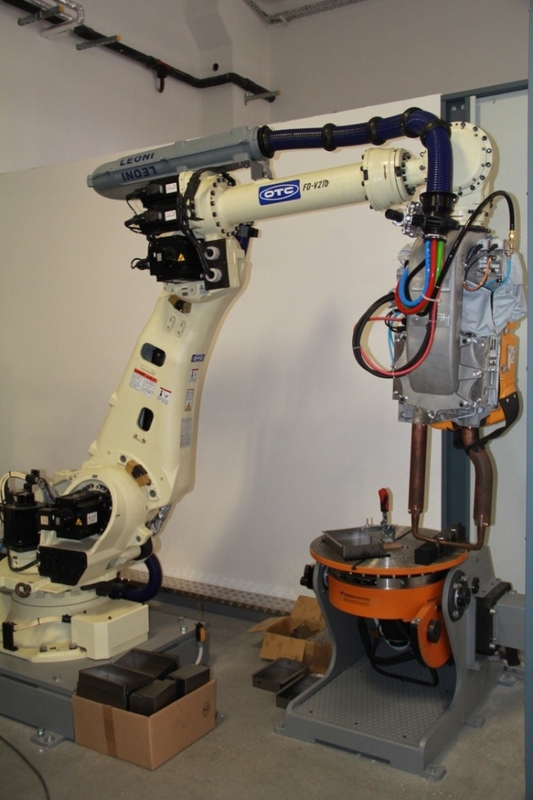 c) welding equipment for spot welding type CS*SW560-PDP completed with welding pliers and cooling unit ARO. - sheet metal of max. thickness 5+5 mm. 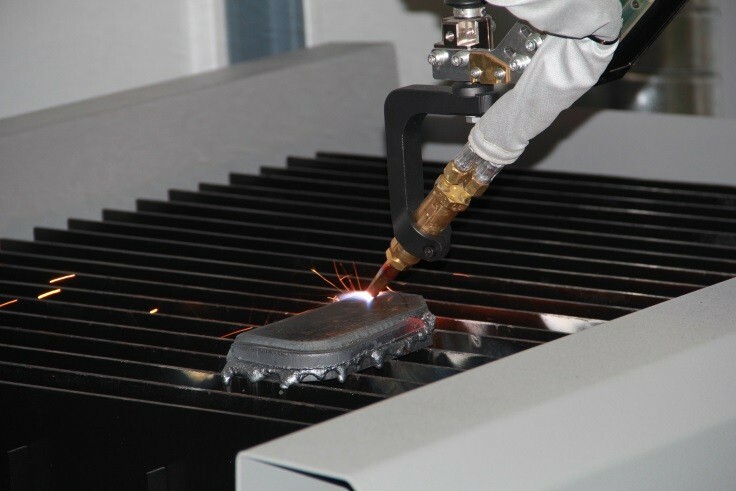 - for 3D plasma cutting of construction steel, heavily alloyed CrNi steel, aluminium and alloys. 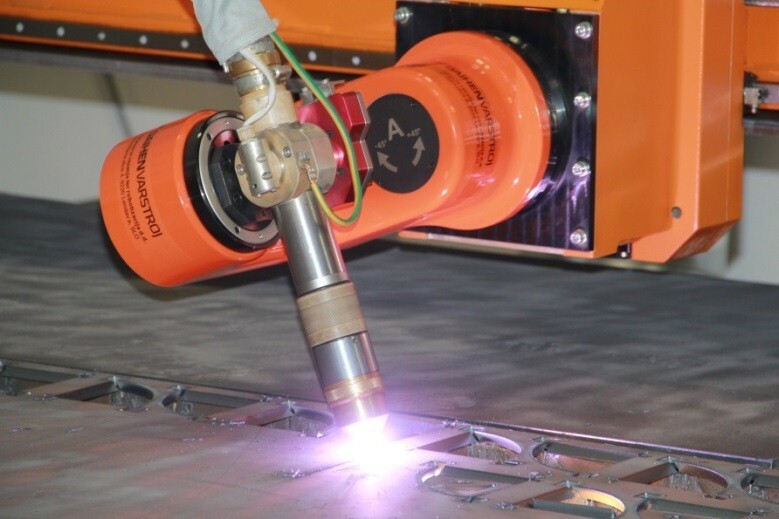 f) option of adding equipment for plasma cutting. - table for sheet metals with segmental extraction type VAR-ECO. 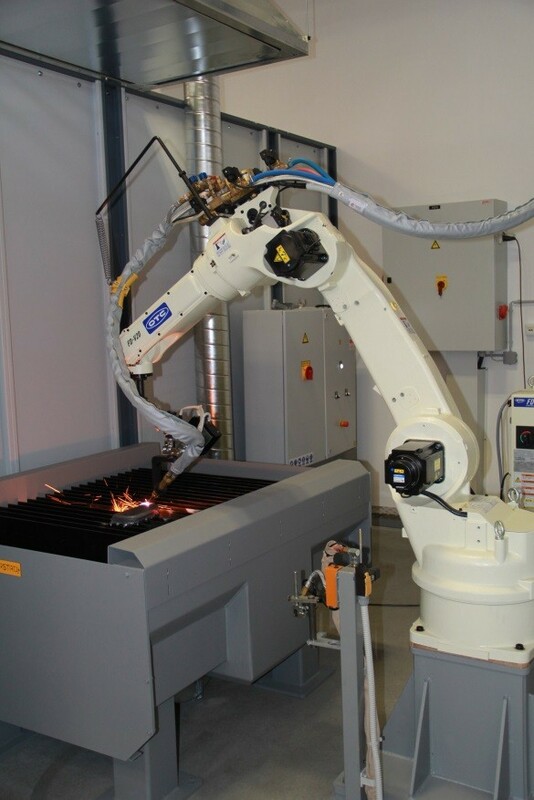 - for 2D flame cutting of sheet metals from construction steel.